World Children’s Day is the anniversary of the United Nations Convention on the Rights of the Child being adopted. 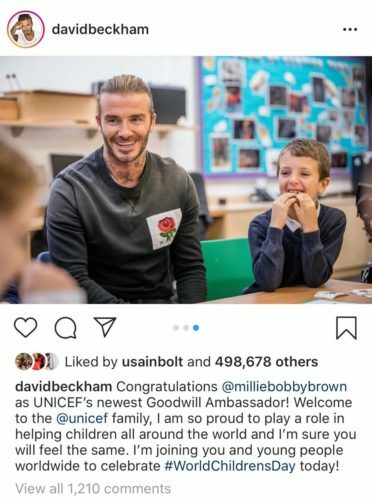 Last year, UNICEF Ambassador David Beckham visited Kentish Town C of E to promote children’s rights and this year he posted a picture of himself and Rocco in our music room. 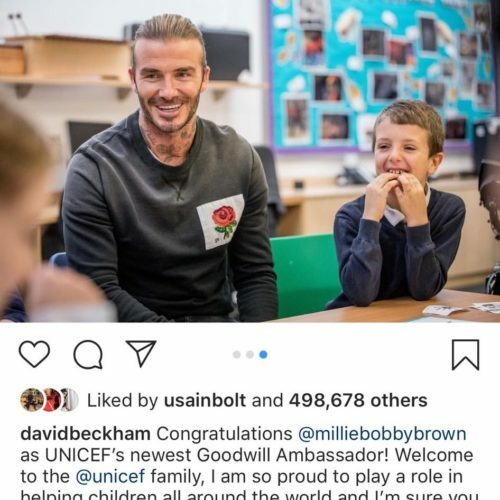 This picture was liked by nearly half a million people including Olympic Champion Usain Bolt!